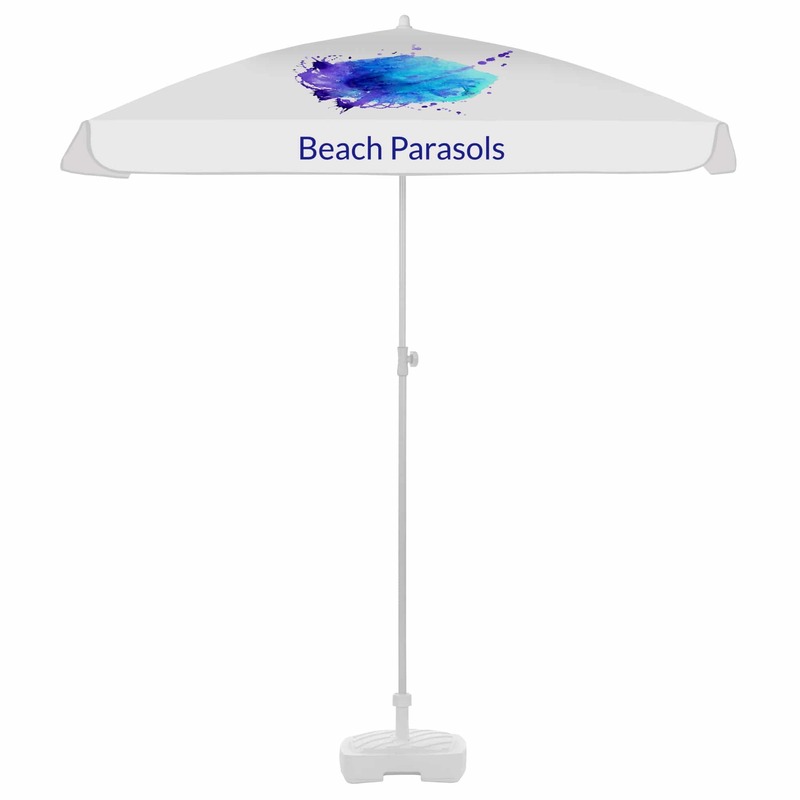 Categories: Printed Parasols: 4 Week Lead Time, Small Centre Pole Branded Parasols. 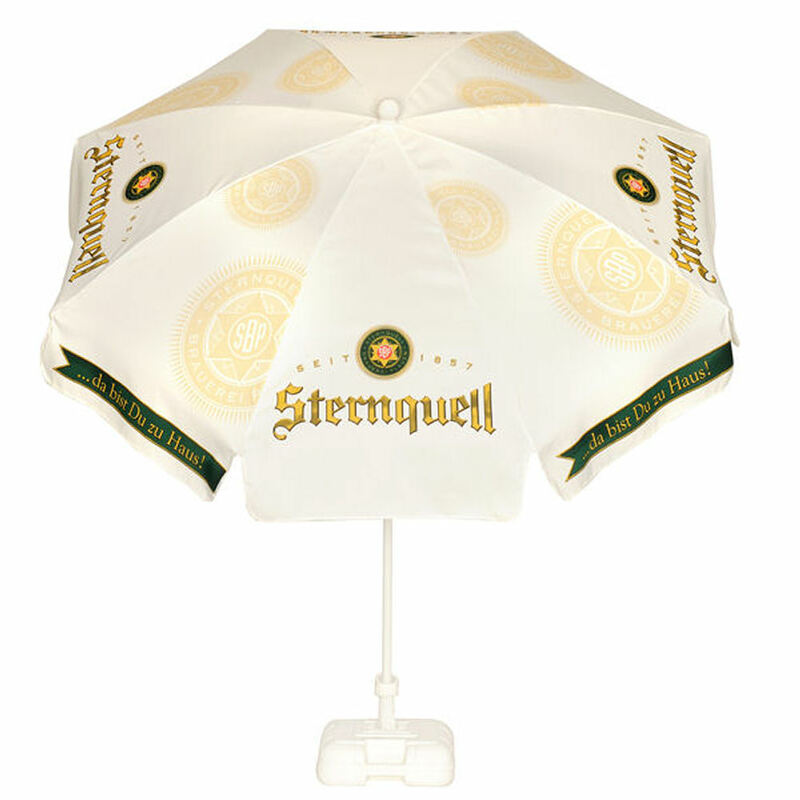 Our garden promotional parasols are our classic pub printed parasols. 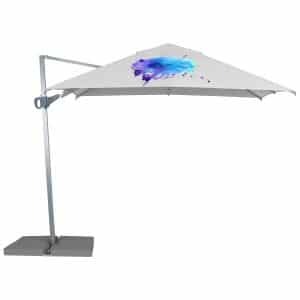 These are the typical printed parasols you will find outside pubs, bars and cafes, The central pole and ribs are in white coated steel and you can opt for a tilted head system if you want extra shade coverage flexibility. 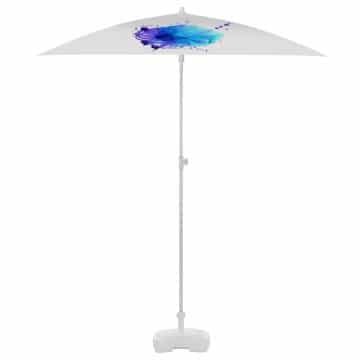 Our Garden Printed Parasols are compact, lightweight and easy to move. 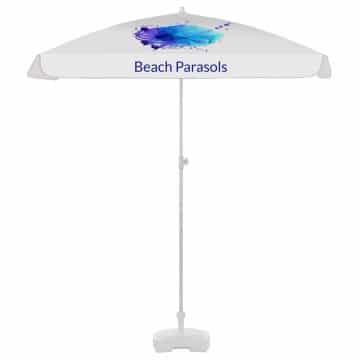 The parasols’ height can easily be adjusted providing flexibility. 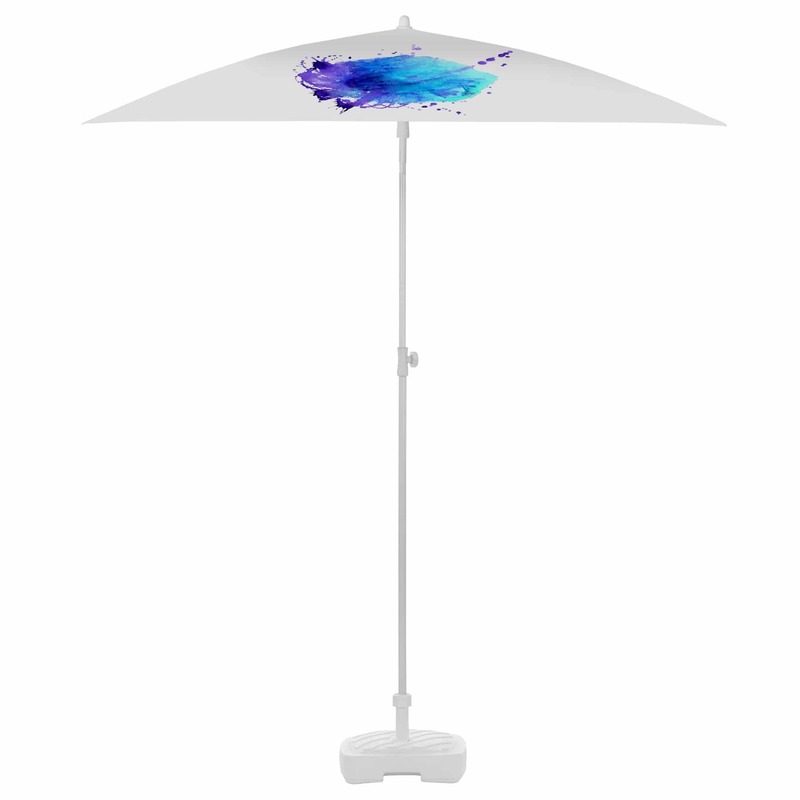 They also come with our unique rotating tilting head system for easy canopy angling – optional upgrade. 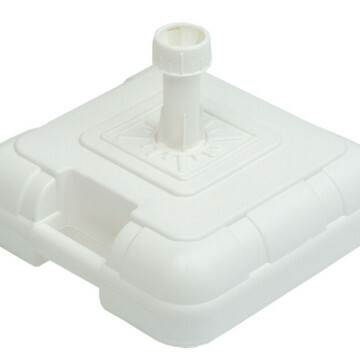 The central pole measure 22mm x 25mm (and 27mm x 30mm for the 2m canopy) and is white coated steel central pole. 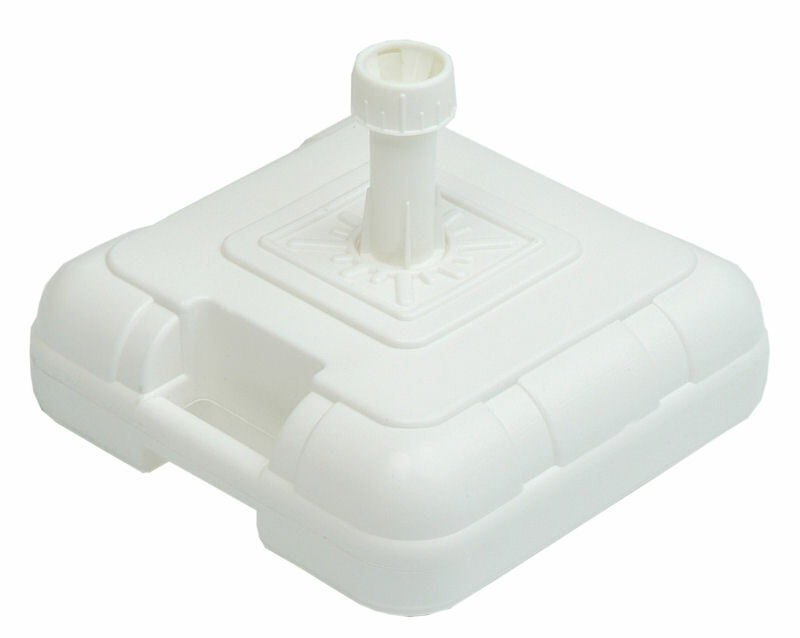 The 8 ribs also come in white coated steel measuring 3.8mm. Round with 8 panels or square canopy with 4 panels. 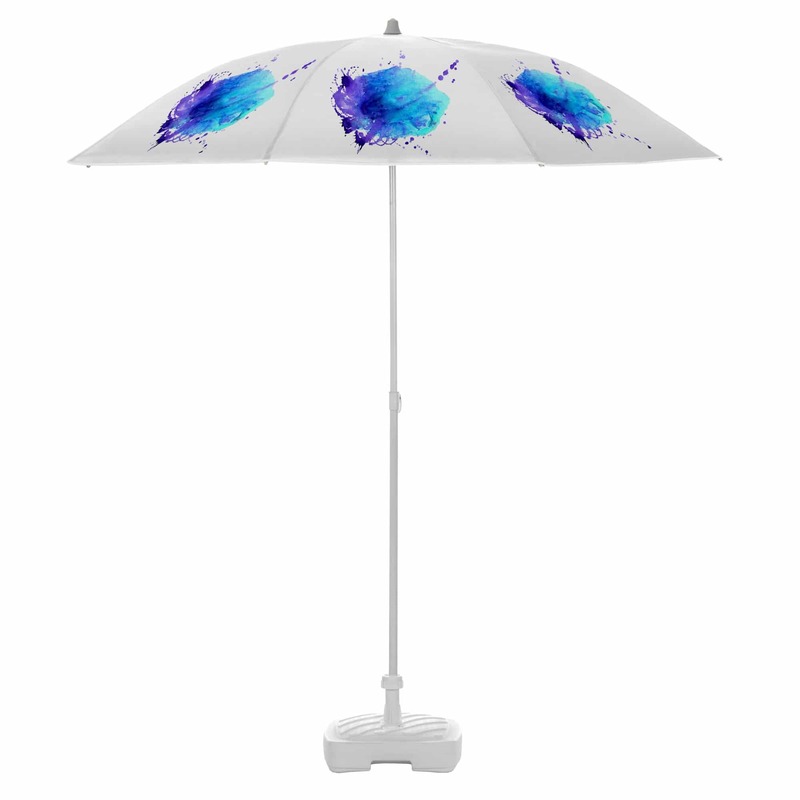 Polyester treated with a protection covering preventing water absorption and protects from rain, dust and harmful UV radiation. Shower proof. We utilise long lasting vivid ink & colour and our adopted techniques ensure crisp and clear printing so that even the finest detail is visible. Here at Brollies & Parasols we specialise in customising promotional umbrellas and branded parasols specifically to our clients’ requirements. 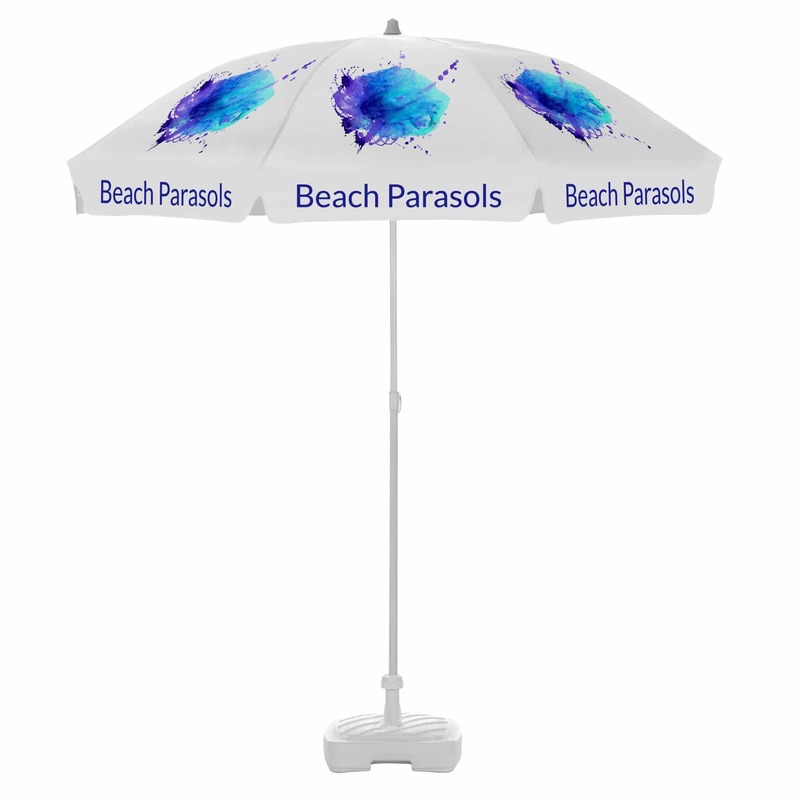 This means we have a full and extensive range of parasol branding options, resulting in promotional parasols that are completely attuned to your needs and branding. We custom-make all of our promotional parasols which allows us to easily and cheaply add different finishes, components and printing options to your personalised sun umbrellas. As part of our service we are on hand to advise and guide you so if the number of options are a bit overwhelming just give us a call. Furthermore we would be happy to offer some friendly guidance on what would work best for your brand as well as within your budget.